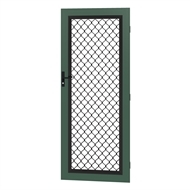 Protector Aluminium Barrier Doors have been designed for easy installation and long term strength and durability. Barrier Doors come standard with a single lock and are backed by a 12 month product warranty, and 10 year warranty on the aluminium frame powder coating. 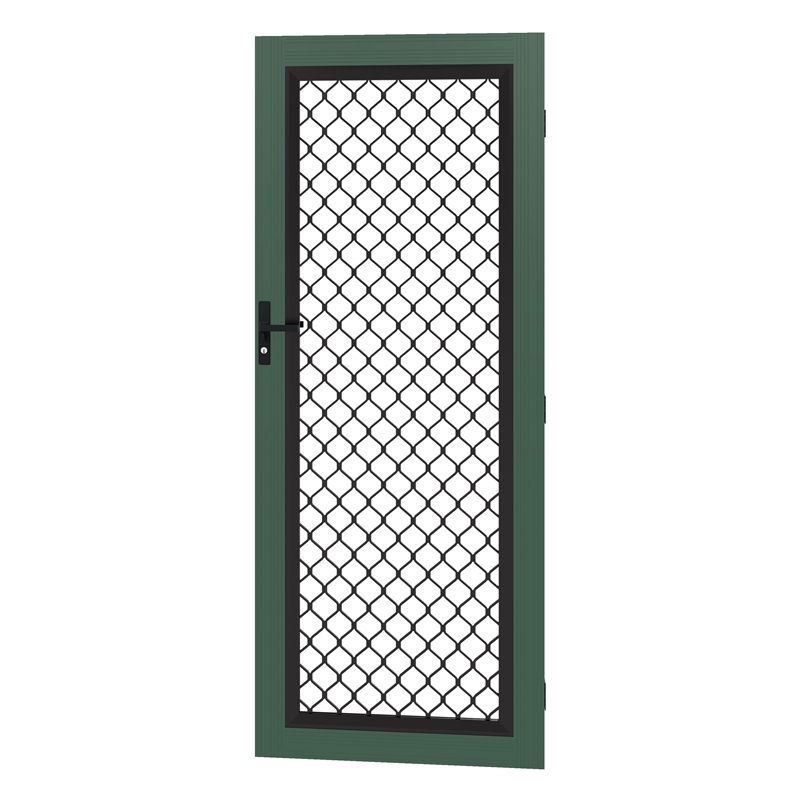 Barrier Doors frames are powder coated in the chosen colour with the infill and hardware in black. Other sizes and colours are available. Call or visit the Special Orders desk at your local store for more information. Prices will vary according to options chosen. Doors How to hang a door Bring privacy to a room by installing a door. We’ll teach you how to hang one yourself. Doors How to fix a door jamb You only need a few basic tools and some timber to repair a broken door jamb. We’ll teach you how to remove and replace one yourself. Doors How to install a cavity sliding door A sliding door is a great option in a small space where you don’t have room for a swinging door. This video will show you how to install a cavity sliding door. 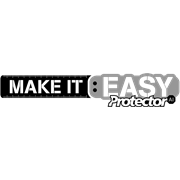 Doors How to install a door handle Watch our easy step-by-step guide and learn everything you need to know about how to install a door handle. Doors How to install a door stop When you put in a new door, we’ll show you how easy it is to install a door stop to protect your walls. Doors How to install french doors French doors are a great way to add style and link your indoors to your outdoors. We’ll show you how to install them with the help of a couple of mates. Doors How to install sliding doors Find out how to install sliding doors. You’ll learn about the different styles of doors available, how to measure and fit the track, and how to hang your sliding doors. Doors How to remove a door Learn how to remove a door safely without doing any damage.